Sealing Speed: 15 or 20 Meters Per Min. 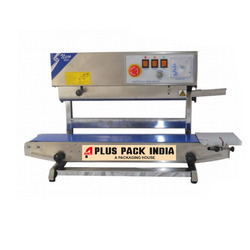 Being a leader in the industry, we are engaged in offering a qualitative range of Band Sealer to our clients. Pouch dimension : Length 80-300 mm, (can be extended if required) width 80-300 mm. 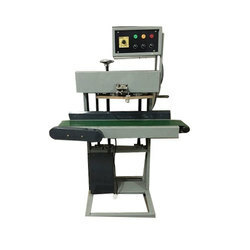 We are offering Band Sealing Machine to our client. With a firm commitment to quality, we are manufacturing a broad spectrum of Band Seal Machine.